The problem in many South Central schools is teacher turnover. When teachers come and go from students' lives, it increases the instability they may already face growing up in a challenging environment. 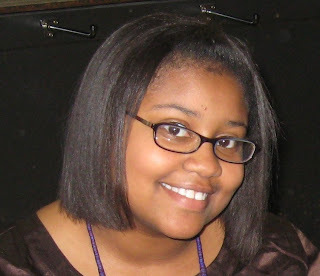 The instability always affects their academic performance and, we believe, their self-worth. 1. New teachers receive a welcome rolling start cart full of supplies on their very first day at LAAMS. 2. A flyer is distributed with the pictures and names of new staff members so they can be recognized and greeted by the rest of the staff. If LAUSD teachers were NBA athletes, Ms. Umber would be Blake Griffin, the #1 draft pick. What can you say about endless dedication, inspired creativity and the ultimate classroom management? Watching Ms. Umber teach was like watching a prima ballerina in action; and her students were the eager recipients of all her instruction. Saying goodbye broke a good many hearts, but we wish her the best at her new school. This second year dynamo whipped her math students into shape, even though 90% of them were taller than her. I had the privilege of being on the same team with her and enjoyed our conversations at the New Teacher Roundtable. Ms. Garcia was a natural, and will be a fantastic educator. Her school is lucky to have her. 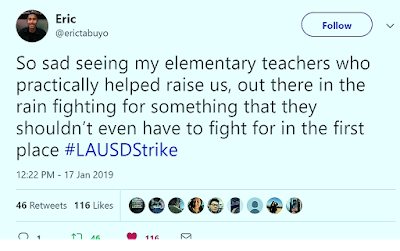 According to the Los Angeles Times, in an article written by Howard Blume*, UTLA has made a deal with LAUSD that will result in the recission of the 2,000+ layoffs by canceling class-size reduction at the elementary level. The union has agreed to a pay freeze and/or a 1% reduction in wages. Its at least too late LA Academy, where school has been in session since July 1st, and we have already lost our top new teachers who didn't sit around waiting while these two powerful organizations "negotiated" the fate of 700,000 students and 40,000 teachers.